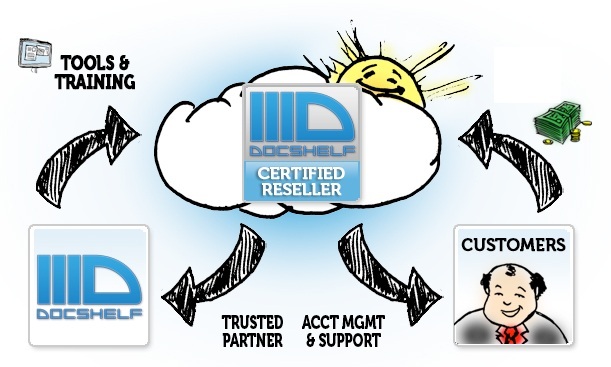 What Is the DocShelf Reseller Program? DocShelf makes online document storage simple, smart and cost-effective (video). We want to give you the opportunity to profit from sharing our system with your customers! As a reseller, you will be able to provide account management and support for your customers while using your own pricing structure to resell DocShelf. DocShelf is a an easy-to-use, 100% cloud – based software as a service with no hardware or software to buy or maintain…so it practically sells itself! Our enterprise-level security features advanced permission control and 256-bit data encryption.